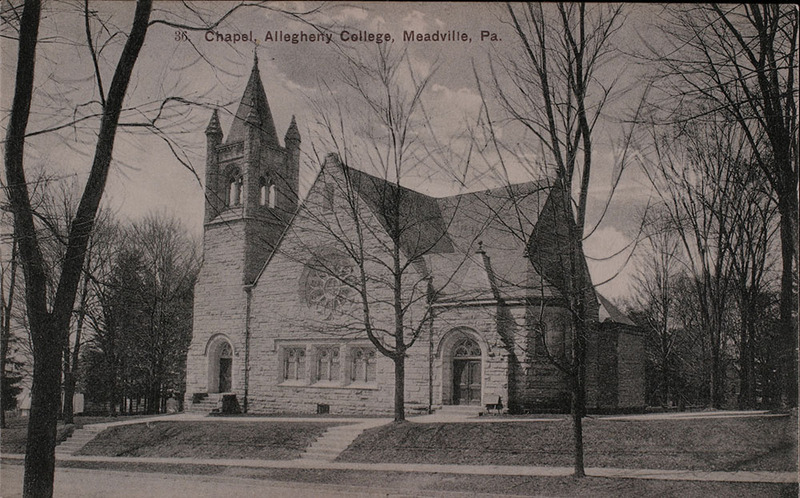 Ford Memorial Chapel has been the center of spiritual and intellectual life at Allegheny College since it was built in 1901. 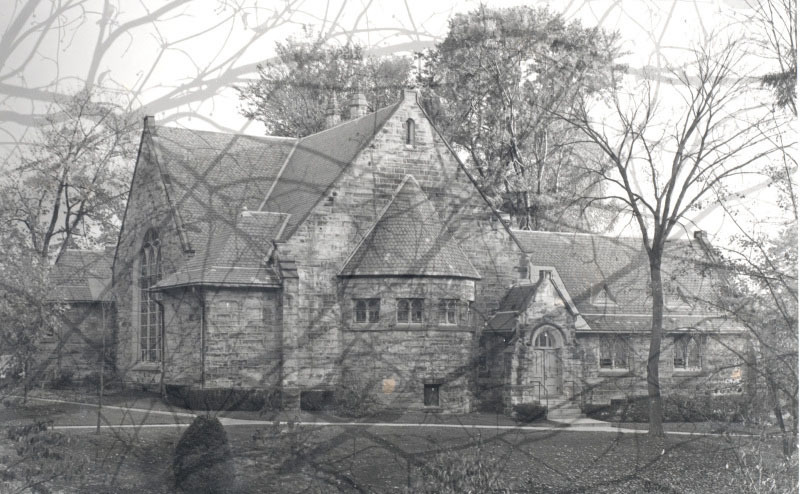 In the 1820’s, chapel services were held in the second floor of Bentley Hall, then moved to Ruter Hall after 1854. As college growth made competition for space a major problem, President William Crawford (1893-1920) announced his plan for a series of new buildings, including a new college chapel in February of 1900. In January 1901, on the Day of Prayer for Colleges in America, Crawford revealed that Captain John B. Ford, the founder of the Pittsburgh Plate Glass Co. had supplied the college with the funding needed to build the chapel in memory of his wife, Mary. Cpt. Ford’s granddaughter, Hettie, had married Rev. James Ballantyne (Class of 1882), pastor of the Methodist Episcopal Church of Tarentum and trustee of the College from 1900 – 1903. Ballantyne’s standing positioned him as the perfect middleman. He went to his grandfather-in-law and persuaded him to give $30,000 for the project. Construction began in 1901 by Charles W. Bolton & Son on a site south of Ruter hall on the east side of the ravine. Crawford based Ford Chapel on the chapel at Mount Holyoke College, in South Hadley, MA., having been impressed by it while touring other colleges. 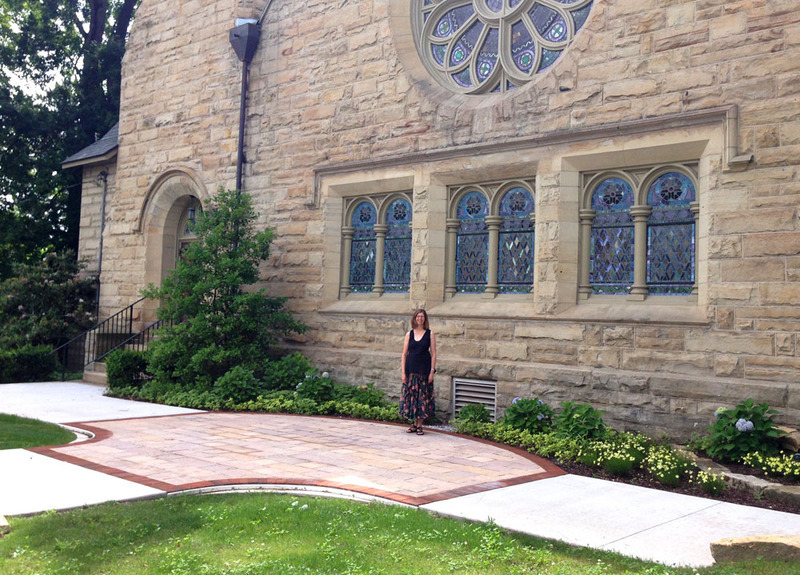 The plan called for a semicircular distribution of 450 seats in an 80-by-60 foot auditorium with another 150 seats in the balcony, inspired by the Akron Plan common in Methodist architecture. The interior is magnificently framed by a series of oak arches emphasizing the cruciform ceiling structure. The north and south walls featured large, Gothic windows, and the eastern wall a rose window. 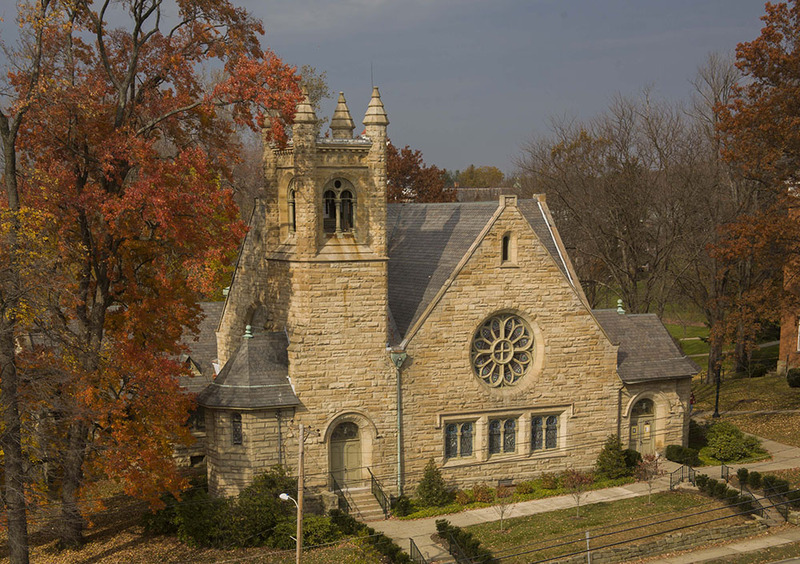 The Norman style exterior of rock-faced Cleveland sandstone featured a large bell tower on the Southeast corner. Hettie and her two sisters, Nellie and Stella, donated more funds for a large pipe organ. 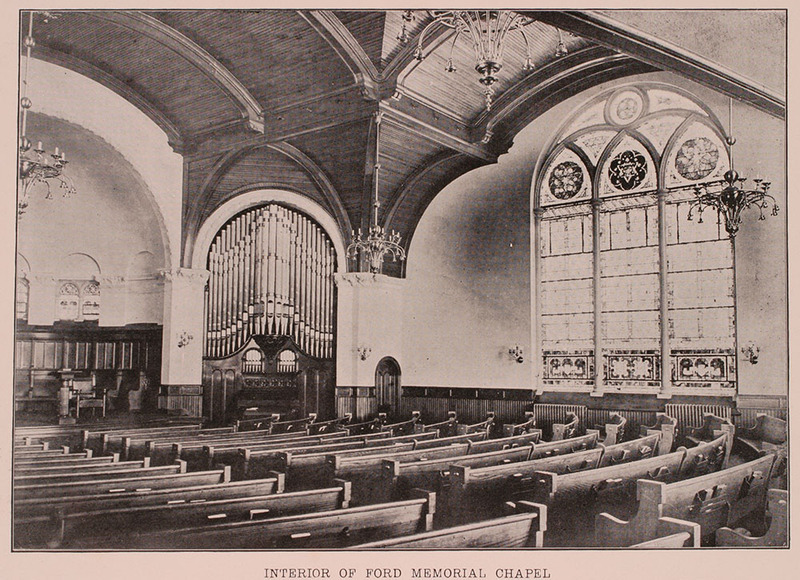 Ford Memorial Chapel was completed at the end of the academic year in 1902. Ford Chapel has been frequently renovated. In 1946 a twenty-eight-rank Moeller pipe organ was purchased to replace the nearly 50-year-old original. However, the space designated to house the organ was not suited for the Moeller, resulting in muffled pipes and a crowded chamber. In 1953, the interior of Ford was remodeled to make it more suitable for use as a concert and lecture hall, with brighter lights and white walls. In 1960, a terrible storm destroyed the south window beyond repair and the interior side windows were replaced with modernistic glass. In the 1990s, the process of returning the building to its original condition began. 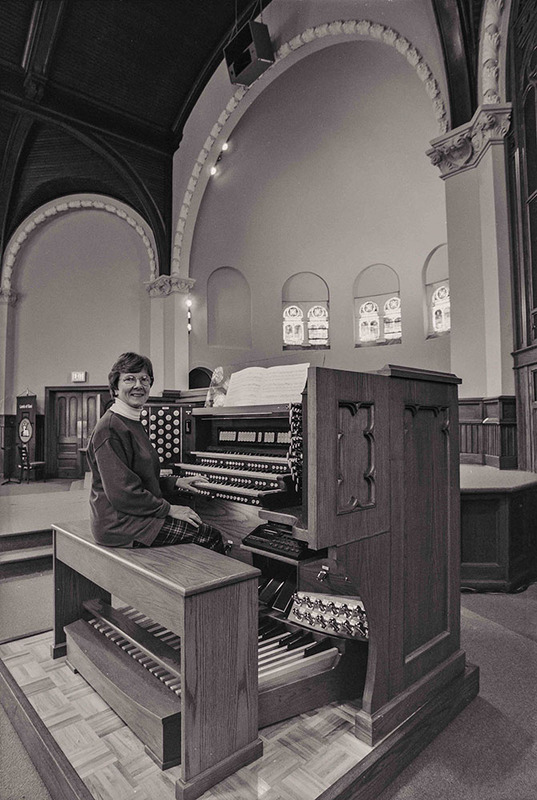 In 1998, the third chapel organ was dedicated at a Homecoming concert played by Todd Wilson. 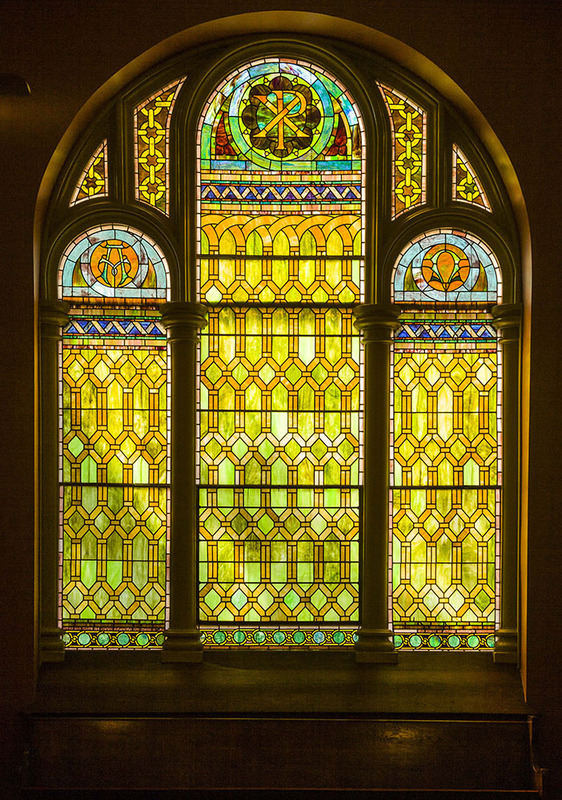 In 2004 the Gothic side windows were replaced with stained glass windows. In summer 2009, the interior was repainted, the pews refinished, and the chandeliers were replaced with fixtures close to the originals. Ford Chapel continues to serve many functions. 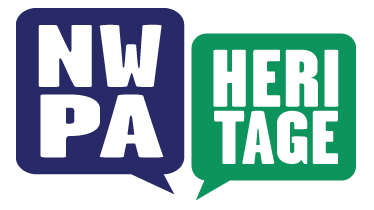 Although its Methodist affiliation goes back to 1833, Allegheny is a non-sectarian institution and offers a variety of worship experiences. 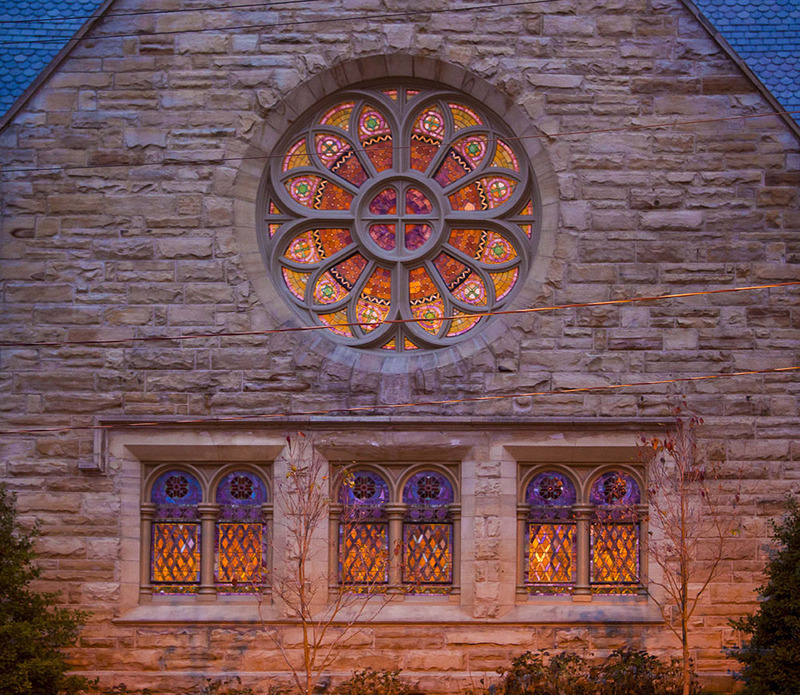 Ford Chapel was once the home of Morten Luvaas and the Allegheny Singers, and continues to house various memorial services, lectures, and concerts. It is also a popular place for weddings of Allegheny alumni. 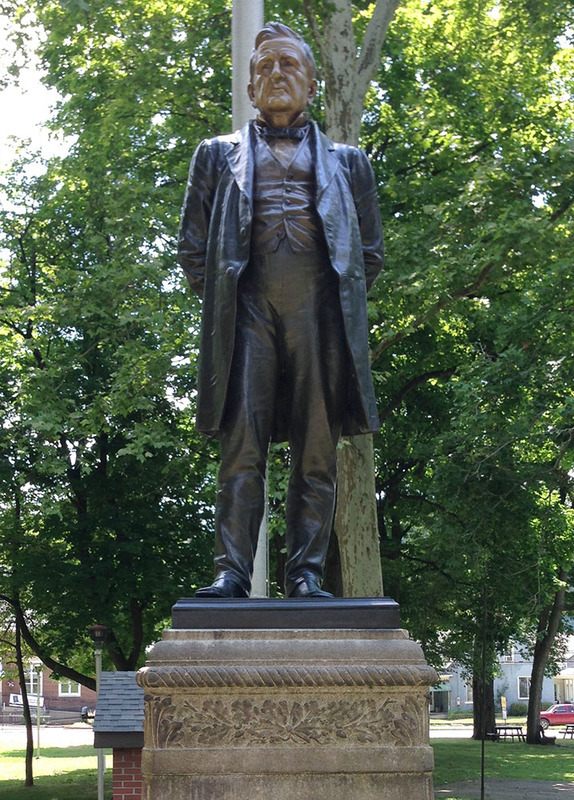 Statue of John B. Ford in Ford City, PA. : “Erected in honor of John B. Ford, Father of the Plate Glass Industry in America by three thousand employees on the eightieth anniversary of his birth November 17, 1891.” Ford City was founded in 1887 as a company town for Pittsburgh Plate Glass. The PPG works remained in operation there until 1991. ~ Source: Image courtesy of Brennen French. 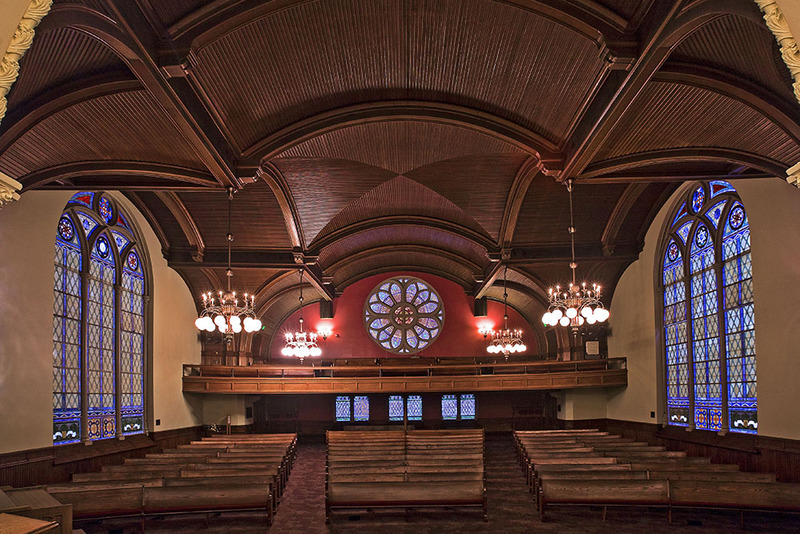 Interior of Ford Chapel after the renovation of 2003-2004.: The Gothic side windows were replaced with stained glass windows more in harmony in color and design with the remaining original windows. Symbolic elements in the glass include the dove, Star of David, and a verse from the Koran. The wall colors attempt to match the original Victorian rose shades. 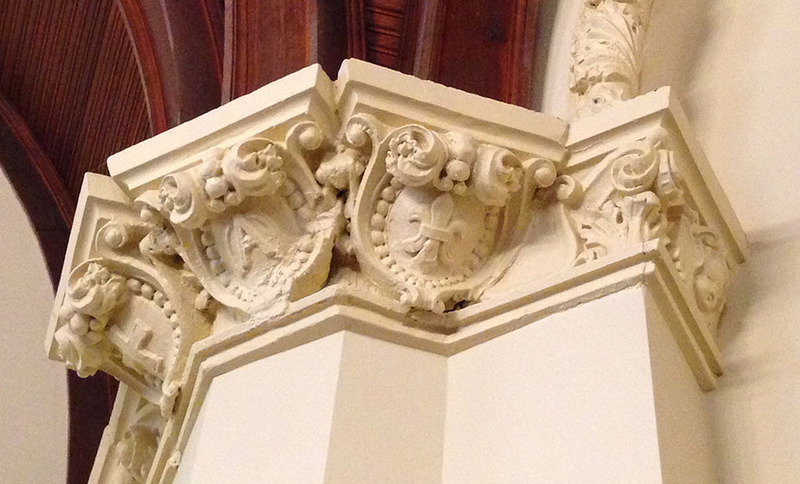 Brennen French, “Ford Chapel,” NW PA Heritage, accessed April 26, 2019, http://nwpaheritage.org/items/show/11.